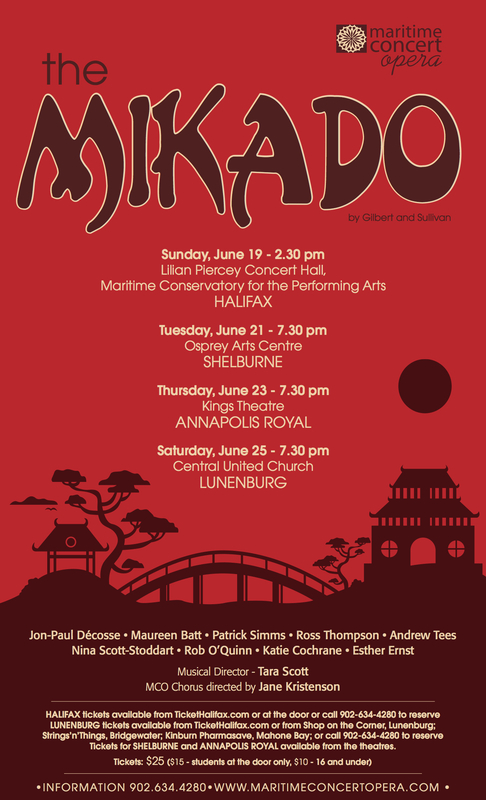 Starting this Sunday, I’ll be touring the South Shore of Nova Scotia with the Maritime Concert Opera Company. We begin in Halifax with a performance in the Lilian Piercey Concert Hall at the Maritime Conservatory of Performing Arts. We have four shows in total – Halifax, Shelburne, Annapolis Royal, and Lunenburg.